Mainly sunny to start, then a few afternoon clouds. High 76F. Winds WSW at 10 to 20 mph.. Partly to mostly cloudy with widely scattered showers or thunderstorms possible overnight. Low 46F. Winds NW at 10 to 15 mph. Chance of rain 30%. Bull elk gather on the National Elk Refuge in Jackson Hole. A federal judge overruled a decision allowing the Wyoming Game and Fish Department to operate the Alkali Creek Feedground on Forest Service land, citing the threat of spreading chronic wasting disease. Prevailing thought says most elk in the winter are largely concerned with two things: eating enough and not getting eaten. The latter was likely the predominant motivator – after all, escaping a pack of wolves would seem like a top priority. But recent research out of Yellowstone National Park’s northern range says the opposite: Elk, in general, just aren’t that concerned about wolves. “Winter is a hard time in Yellowstone. Thus elk are probably more interested in finding food than they are in avoiding wolves since wolves are just not that dangerous,” said Michel Kohl, a post-doctoral researcher at Utah State University and one of the new paper’s co-authors. The research comes a few years after former University of Wyoming doctoral student Arthur Middleton reported similar findings out of Cody. There elk also seemed, in general, underwhelmed by the presence of wolves. Several of the paper’s authors as well as other wildlife biologists in the Yellowstone area agree that this is a broad statement – anecdotes by hunters or wildlife watchers witnessing elk move away from wolves are still likely true – and the response could also vary depending on localized terrain, deep snow or feedgrounds. They also agree that more research is needed into other areas of Wyoming, Montana and Idaho. Why does it matter? Because, researchers said, of the cultural interest in wolves and their relationship with elk; because of the economic investment in both wolves and elk themselves, in and outside of the park; and for pure interest in natural beauty and drama. So how do you figure out if elk care about the presence of wolves? The short answer: a series of incredibly complex scenarios involving hundreds of thousands of data points. Jeremy Cusack, the lead researcher on the project, started with a series of questions: Do elk avoid wolves spatially? As in, do elk avoid going places where they are likely to run into wolves? Do they avoid wolves when wolves are around? And lastly, do they stay in the same area as wolves, but use it at different times such as the middle of the day or night when wolves are less likely to be hunting? From there, the authors looked at three main data sets compiled by researchers in Yellowstone. The first is from collars on 34 cow elk between 2012 and 2016. The collars pinged each cow’s location every 2 to 2.5 hours, allowing researchers to essentially trace their movement paths and determine home range shape and size and where and when elk spend their time. They then used wolf location data from collars dating back to 2004, documented elk kills by wolves dating back to the late 1990s, and the openness of the vegetation, to create a map of where the risk of getting killed is higher or lower. “All of these measures are slightly different, but together they create quite a comprehensive idea of what elk might be taking into account,” he said. Lastly, he modeled where elk could have gone if they were unconcerned about wolves. It turned out that those paths and associated home ranges – the areas mapped assuming elk didn’t care wolves were nearby – had essentially the same risk of predation as the actual areas elk moved and occupied. The conclusion itself wasn’t a complete surprise. Middleton found in 2013 that the presence of wolves had little effect on pregnancies in cow elk in the Cody area. Doug McWhirter, Wyoming Game and Fish Department’s wildlife coordinator in the Jackson region had noticed similar non-reactions in elk in the years he’s spent in the Absaroka Range. But what was a surprise to even Doug Smith, a longtime biologist in Yellowstone National Park, was the definitive nature of the results. The data used to draw the conclusions spans many years and a massive swath of the northern range of Yellowstone. It’s not simple observations in a localized area. The information also goes against a commonly-held belief in most predator-prey relationships. Smith, who was also a co-author on the paper, acknowledge wolves have had an impact on elk in and around Yellowstone. In 1994, at the height of elk populations, elk numbered as many as 25,000 in the park. Now there are around 10,000. Areas in northwest Wyoming such as the Thorofare once held elk throughout the winter despite deep snow. Once wolves arrived, those elk simply couldn’t survive deep snow and predation, McWhirter said. The increase of grizzly bears has also accounted for a portion of the decrease in overall populations elk, he added. While the researches acknowledge wolves kill elk, they mostly the vulnerable, which tend to be the young, the old and the sick. That’s why healthy bulls and particularly cows are, generally, unafraid of wolves. Elk are often also successful at evading attacking wolves by out running them, he said. Put simply: Even if an elk encounters a wolf, and the wolf decides to attack, it statistically has only a 10 percent chance of being successful. As with most wildlife research, this study, published March in the Journal of Animal Ecology, comes with caveats. A hard winter with deep snow could change the results. The presence of feedgrounds could change the dynamic. Human hunters could change the outcome. “And on any given day in the winter in the Greater Yellowstone, you can find a scenario that would meet almost any of your ideas or emotional claims about how wolves affect elk. You can find a place where the elk didn’t budge when a pack of wolves showed up, and you can find a place where elk ran a mile,” Middleton said. Middleton, who continues to run research projects throughout northwest Wyoming as a professor at the University of California Berkeley, is currently working with a graduate student near Jackson to look, in part, at those questions. Elk wintering in the Gros Ventre had all but abandoned the area in the winter of 2017-2018, said McWhirter, with only 86 individuals counted. The wolf density was also higher there than almost anywhere else in the Yellowstone ecosystem. 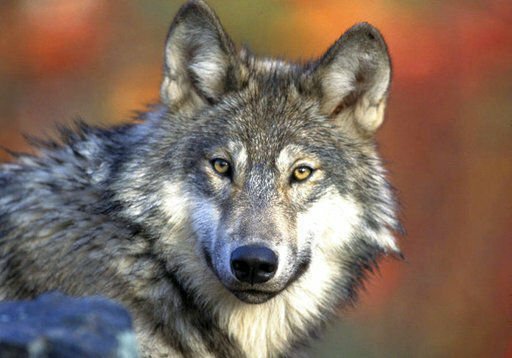 Game and Fish increased hunting permits on wolves, resulting in a dramatic reduction of the predators. Upwards of 2,500 elk returned this winter to the area. But McWhirter and Middleton were quick to say they can’t draw conclusions yet. Last winter was historically harsh, and relatively little snow fell this year until February.